Conservatory Valet & Cleaning in the Ribble Valley and the North West. 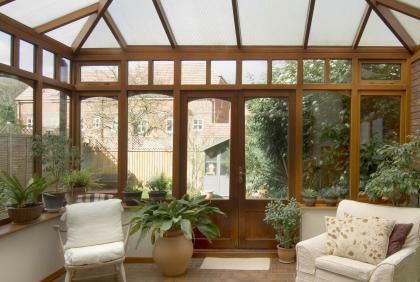 The exterior of your conservatory dirties easily due to the constant weathering of wind, rain and ultraviolet light. Bird droppings if left, can cause permanent staining. Algae, moss, lichens and leaves can build up causing damp, problems to drainage systems and block natural light. Pressure washing your conservatory yourself can cause serious damage and leakages. At Soapranos, we pride ourselves on being the best, so sit back, relax, and allow our specialist conservatory valet service to make your conservatory immaculately clean again. Our team of expert cleaners are available throughout the Ribble Valley and the North West. Once on site they will clean your conservatory using professional products and specialist access equipment. Like all of our services, our conservatory valet service is fully insured. Please feel free to call us on 01200 422334 or, if you prefer, you can use our free call back service to discuss your conservatory cleaning needs.